Jenny Starke M.S.W., R.S.W. completed her undergraduate degree in Psychology at York University (Toronto, ON 2009) and her Masters in Social Work at the University of Toronto (Toronto, ON 2012). She is a Registered Social Worker with the Ontario College of Social Workers and Social Service Workers, and the co-founder of ANBU. Jenny is a German Tamil Canadian woman that allows her intuitions to guide her to live a life of purpose. Jenny is a woman of many identities that has and is embracing her personal struggles and sharing them to create awareness, challenge normative ideologies and inspire self and political transformation. She is a Geriatric Social Worker at Humber River Hospital and a Peer Group Facilitator for adult survivors of childhood sexual abuse at The Gatehouse. Due to her own personal experiences of trauma within the Tamil community, her passion and what she truly believes is the purpose to her life has been to work with survivors of childhood sexual abuse. 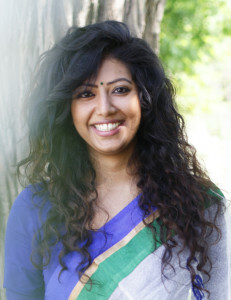 With A.N.B.U., she hopes to create a voice for survivors of childhood sexual abuse and shed light, build capacity, strengthen awareness and compassion within the Tamil community and across many communities. She is constantly growing and developing her knowledge and understanding of life with trauma through mindfulness and meditation practices. Her personal and professional journeys have enabled her to believe in living and serving within an anti-oppressive, strengths-based and feminist framework. 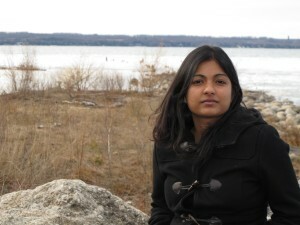 Tharshiga Elankeeran is a Registered Psychotherapist that holds a B.A. (Hons.) in Psychology from York University (Toronto, ON 2009) and an M.A. in Counseling Psychology from McGill University (Montreal, QC 2013). Tharshiga, co-founder of ANBU is a Women’s Substance Abuse Counselor at Addiction Services for York Region where she works with pregnant and or parenting women who have suffered extensive trauma and are striving to heal themselves. She has facilitated trauma groups with survivors of childhood sexual abuse at the York Region Abuse Program and currently facilitating a trauma group at Black Creek Community Health Center. With a strong commitment for eternal learning, she continues to seek out opportunities for mental and experiential growth. A survivor of childhood sexual abuse herself, she believes in holistic healing. The body remembers trauma and she passionately seeks alternative forms of healing that incorporate the whole. She obtained Reiki training and aspires to continue practicing and mastering this form of cleansing and balancing of energy within the body. She is also a certified Acudetox Specialist with NADA that can provide Auricular acupuncture to reduce stress, anxiety, cravings and increase relaxation and cleansing. When Shajini Jeganmohan first heard about ANBU, she knew in an instant that she wanted to dedicate her energy to their cause. She first joined them as a yoga instructor to provide an opportunity for those affected by childhood sexual abuse to heal themselves. Since then, her role in ANBU has expanded to include videography and writing. Shajini is a life-long learner and strong believer in cultivating and using experiential knowledge to guide us in moving forward. She is currently learning Ayurveda and hopes to use this ancient healing system with yoga and meditation to help people learn how to manage their trauma and live a balanced, empowering life. In her free time, she loves running through the woods with her dog Jax and traveling around the world. 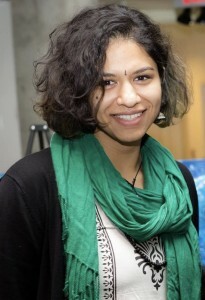 My name is Jessica Thyriar and I am a Tamil woman with a deep passion for combating sexual violence. I am all over the place, and constantly finding new things to occupy my time with, and strongly believe we are placed on earth to help as many people as we can. I am a part of ANBU because it unites everyone in dispelling the stigma of sexual violence in our communities, and starts the work in recognizing the impacts this has on people in their adulthood. I believe your childhood shapes who you end up being in the future, and that is why ANBU is important to not only support those that have experienced sexual violence and abuse as children, but also to help adults navigate the depression, suicidal thoughts and anxiety that comes packaged with these childhood experiences. I want everyone to know that you are not alone, this is not your fault, and you will persevere. You are strong, you are resilient and you can become whoever you want to be. I am of the strongest belief that we must always acknowledge and operate in anti-oppressive frameworks, and only through being accepting to everyone that can begin to do this work. Jessica holds a Masters in Sociology with a focus on sexual violence on campus. Jessica Thyriar currently works as the Sexual Violence Program Facilitator at York University. Jessica has also recently worked with the Council of Ontario Universities’ expert panel on climate surveys related to sexual violence. Previously she has worked with the York Federation of Students, and she has served as the President, the Vice-President Campus Life and as the Liberal Arts and Professional Studies Director. 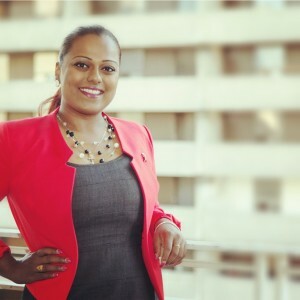 She has also served students across the country as the racialized representative for the Canadian Federation of Students. In addition, Jessica has been a long-standing member of York’s Sexual Assault Awareness, Prevention and Response Policy Working Group. Cheyanne Ratnam has a personal connection to ANBU; she is a survivor, and knows many other survivors who have experienced transgressions on the sexual abuse continuum/spectrum both personally, and through her volunteer and professional work (e.g. colleagues and service users). Beyond being engaged in the social services/advocacy sector via her education (SSW, BSW, MSW) and through her voluntary and professional experiences, as a survivor, she is passionate about supporting fellow survivors of all ages, engaging with the community to influence progression/provide education, and is passionate about co-creating a system which empowers survivors (and others affected by this issue), gives equitable footing to prevention, intervention, and post-intervention related responses, and one which provides multiple meaningful avenues for expression and healing. She has a keen interest in engaging with the Tamil community to help nurture a community which better understands child sexual abuse, trauma/mental health, and re-engages with the idea that ‘it takes a village to raise a child’ – the importance of support systems and allies. She has extensive knowledge and experience in the child welfare system. She has a keen interest in human rights issues and successful outcomes pertaining to young people from in, and around, the care systems as well as policy and systems work. 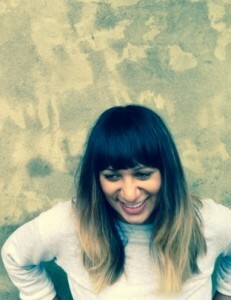 Currently she is a Project Manager/Founder for the ‘What’s The Map?! : Newcomer Youth Leading The Call to Action – Designing a Support System That Works’ initiative, and the Primary investigator for the Child Welfare Permanency and Family Project (Ontario) which engages with young people in the child welfare, homelessness, youth criminal justice, and adoption systems. She is an ambassador and public speaker for the Children’s Aid Foundation and the President of the Youth In Care Ontario Board of Directors. She is engaged in public speaking relating to professional expertise (e.g. social work, child welfare, youth engagement, and homelessness issue) and is a storyteller with lived experiences (e.g. child welfare, youth homelessness, child sexual abuse, etc). Subani Selvarajah is a proud mother to three girls and a Family Physician. As a child, she left Sri Lanka at a young age and grew up in the Netherlands. Being a part of a Tamil community dev eloping in a foreign environment made her sensitive to the struggles of those most vulnerable. She is grateful to be able to give back to the Tamil community in a meaningful way through ANBU. As a physician she has a special interest in child development, women’s health and the impact of trauma on health. Not only does she deeply believe in supporting those affected by childhood sexual abuse, she also wants to work towards protecting children from this abuse and trauma. Vanajah Srinivasan believes in the true authenticity and purpose of every individual. This can involve self-reflection and sometimes looking back to difficult pasts. The experience of supporting her family through a complex past of childhood abuse and eventual prosecution through the legal framework has compelled her to share that experience, and become a part of the transformative healing process for others. She believes ANBU is that transformation. Vanajah is based in the UK and has spent her recent years in international development working on projects that empower, protect and save the lives of children all over the world. She is a passionate and motivated individual who believes in active participation in the community both via her vocation and through volunteering activity, including helpline support for National Association for People Abused in Childhood (NAPAC) in the UK. 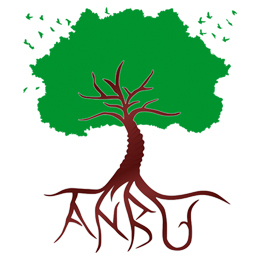 Transformation cannot happen in a vacuum, she believes to enable true change, communities need to support and participate in the healing process, to that end, she aspires to expand ANBU’s reach and establish the UK branch of ANBU.